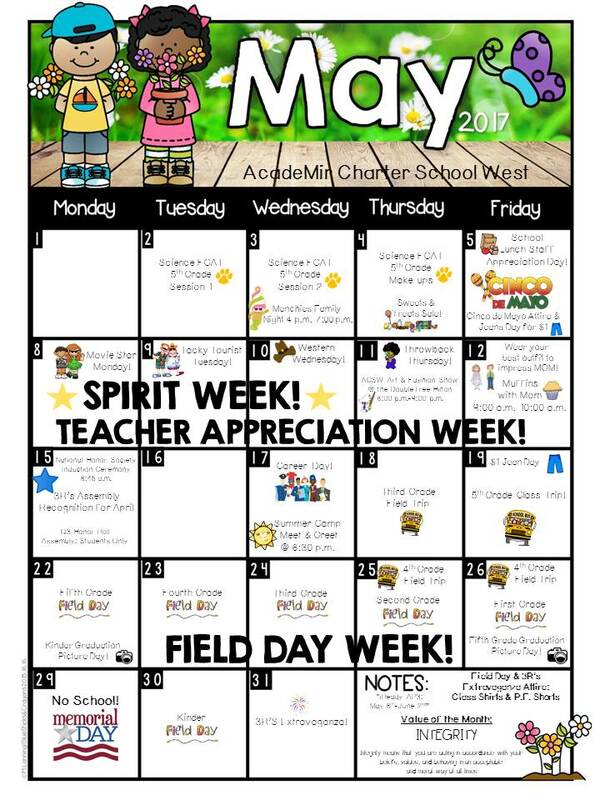 Get ready for a busy and fun month Tigers! Join us on Wednesday, May 3rd, from 4:00 p.m.-7:00 p.m.! 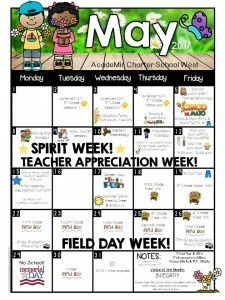 15% of your purchase will be donated to ACSW’s 5th Grade Class! 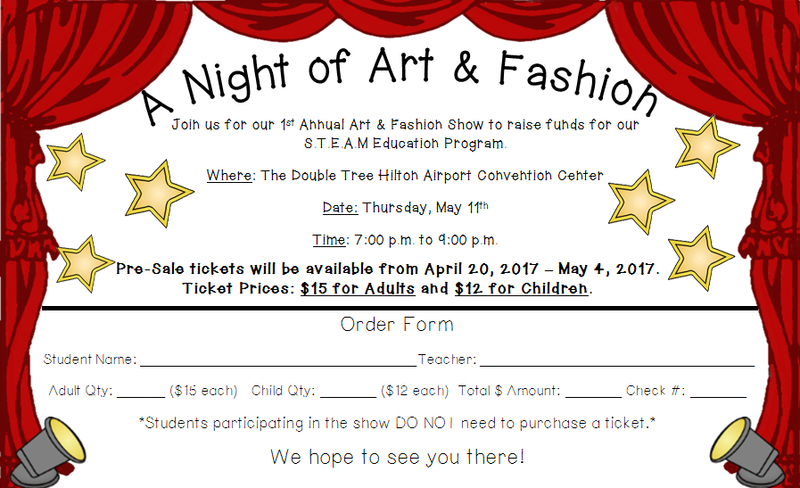 The 2017 Art and Fashion show will be themed around “A Night of Colors through Art and Fashion.” We will have an art gallery showcasing our student artwork followed by a fashion show. 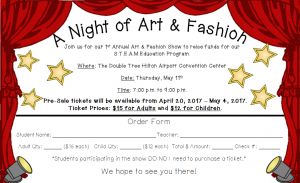 Each grade level will be assigned a color scheme and attire requirements for their fashion runway performance. 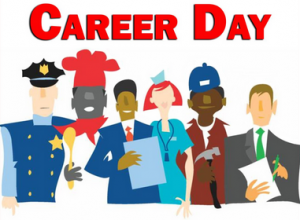 Our school will have our annual Career Day on Wednesday, May 17th, 2017 and we need YOUR experiences! Whether you are a nurse, mechanic, astronaut, custodian, business owner, doctor, firefighter, or police officer, etc.—we need you! We are looking for a variety of people interested in spending a morning talking to our students about your career! Many of our students are unaware of the career opportunities available to them and this is a fantastic way to provide them with first-hand knowledge or potential career paths. 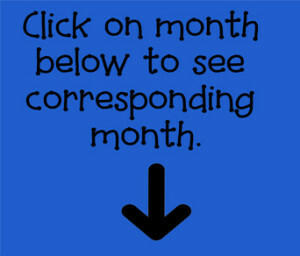 This is also a great way for you to get involved in ACSW and make an impact on the students’ future.